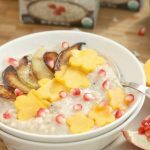 Breakfast is the most important meal of the day, so start of with a bowl of protein, fiber and heart-healthy whole grains topped with all the delicious flavors of fall. This post has been sponsored by Mambo Sprouts and Pacific Foods. All opinions, photos, and recipes are my own. This post may also contain affiliate links. Now that school is in full swing, hot breakfast before dawn is a priority. Well, maybe not really before dawn, but almost. We do our best to get the school day going as soon as possible. With a high schooler in the house, our days are jam packed with assignments, commitments, and activities. Not necessarily my preference but I realize it’s a season. That’s why it’s super important to me that my kids begin their days with a hot breakfast. Forget the boxed cold cereal. That is not an ideal breakfast to nourish our children. It not only is void of any nutrition (despite what the label says) but most cereals are produced by a process called extrusion. Grains are mixed with water to create a slurry and are then placed in a machine (extruder). The grains are then forced out at extremely high heat and pressure in the shapes that we see on the store shelves. These shapes are then sprayed with a coating of oil and sugar to give it that crunch. This process destroys much of the very fragile nutrients typically found in traditional grains. It denatures fatty acids and destroys vitamins. Unfortunately, most boxed cereals sold on the market use the extrusion process. I would be lying to you if I said my kids never eat boxed cereal. I occasionally buy organic boxed cereal but I am very particular with when and how often they eat it. They never have it for breakfast. On the rarity that we have boxed cereal in the pantry, it’s consumed as a treat after a hearty meal. They get gold stars if they eat it with raw milk. 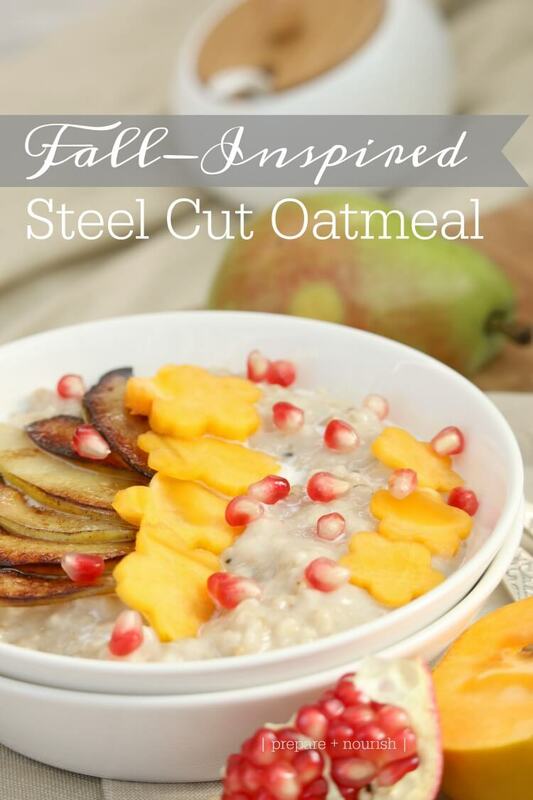 A bowl of hot steel cut oatmeal is a wonderful alternative to cold cereals. It’s packed with nutrition and it’s always a better to start the day with a warm meal. But mornings can be rough for some (including myself). 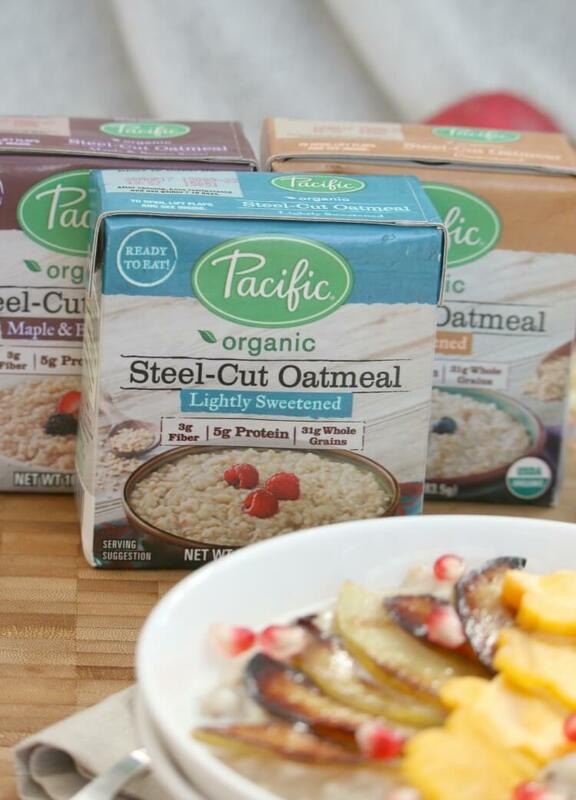 That’s why I’m loving Pacific Foods‘ newest product – ready to eat Steel Cut Oatmeal. It comes ready in already individual sized packages and packed with protein, fiber and heart-healthy whole grains. 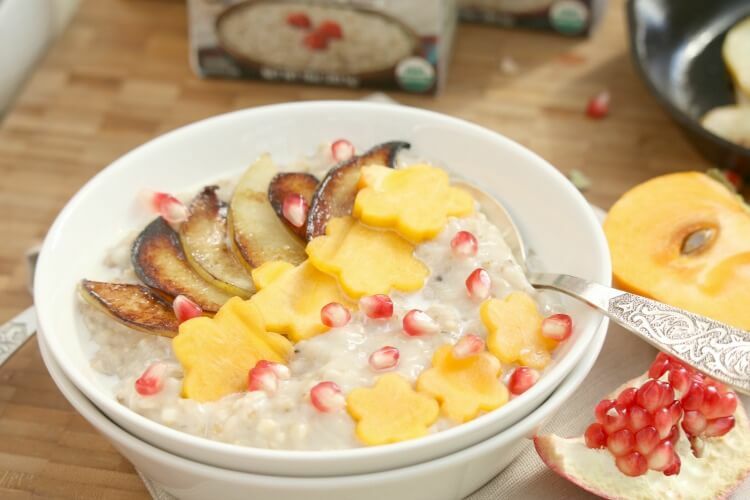 They make their oatmeal using the process of slow cooking to maintain that home-cooked taste, texture and nutrition. Their pouches are microwavable but if you’re anti-microwave like us, you can easily scoop the oatmeal into a small saucepan and heat it on the stovetop. In fact, it’s so easy, I’ve been allowing myself to sleep in so my kids can prepare their own breakfast. 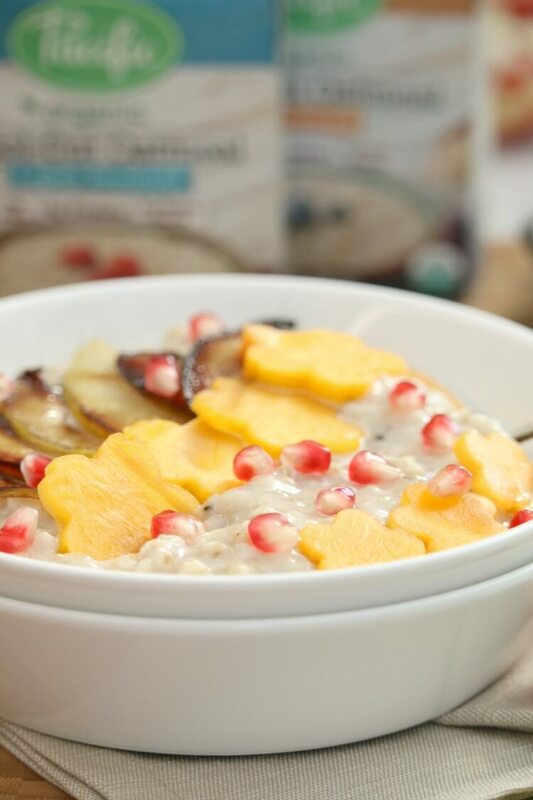 Pacific Foods has their steel cut oatmeal in five flavors: unsweetened, lightly sweetened, apple & cinnamon, maple & brown sugar, and flax & chia power. You can dress them however you wish but to celebrate fall, I used fruits readily available during this cozy season. Melt butter in small skillet. 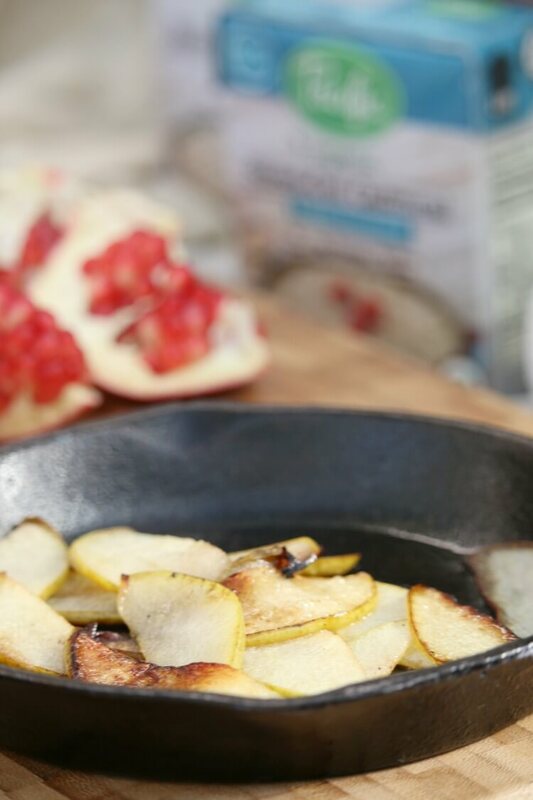 Add sliced pears and brown on both sides. Spoon oatmeal into a small saucepan and heat on medium low. You many need to add a few tablespoons of water or milk as your heating since the cooking process will thicken the oatmeal. Plate the oatmeal, add your favorite toppings, sweetener, or seasonings. Which of their flavors will you be trying out first?